Several of our portfolios will be hanging at the various campuses of Portland Community College across the Portland, OR metro area during Earth Week, April 16-24. 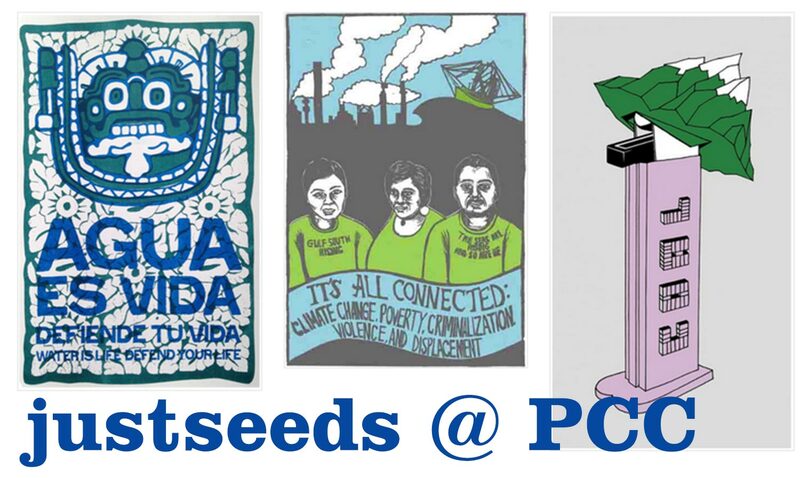 You can also see Justseeds artist Thea Gahr talking about art, activism, and community on April 16th. See the PCC schedule for details! This opportunity curated by our friend Esther Forbyn of Birds to Know.